Is USA Track & Field's Massive Deal with Nike Bad for the Sport? On Wednesday, the folks at USA Track & Field declared they had sold the United States' unborn Olympians to Nike Inc., announcing a partnership with the shoe company through 2040. That's how Nike does it: They put Swooshes on even the twinkles in people's eyes. The deal is rumored to be for $500 million, which would quadruple the current amount Nike has been paying—around $5 million per year, or over half of USATF's annual sponsorship contributions. Why does this matter? Well, for one thing, the deal comes fresh on the heels of a successful and unprecedented runners protest whose subtext was the dom/sub relationship between Nike and USATF. For another, the influx of cash is not guaranteed to reach the athletes themselves, many of whom are currently living below the poverty level. Where does all this new money go, then? If history is a guide, USATF pays it to USATF. In 2008, the organization's total expenditures for "Governance, Administration, and Other" were about $1.5 million, according to the approved budget. In 2013, that same category was over $6.5 million, despite total expenditures being around $4 million greater. USATF is paying out less while paying itself much, much more. In some ways, the new Nike contract will actually make things more difficult for athletes. Because the Swoosh again has locked up rights as the exclusive outfitter for U.S. track and field teams for the world championships and the Olympics, runners will continue to have a hard time getting non-Nike sponsorships, which after all can't be displayed at the sport's pinnacle events. 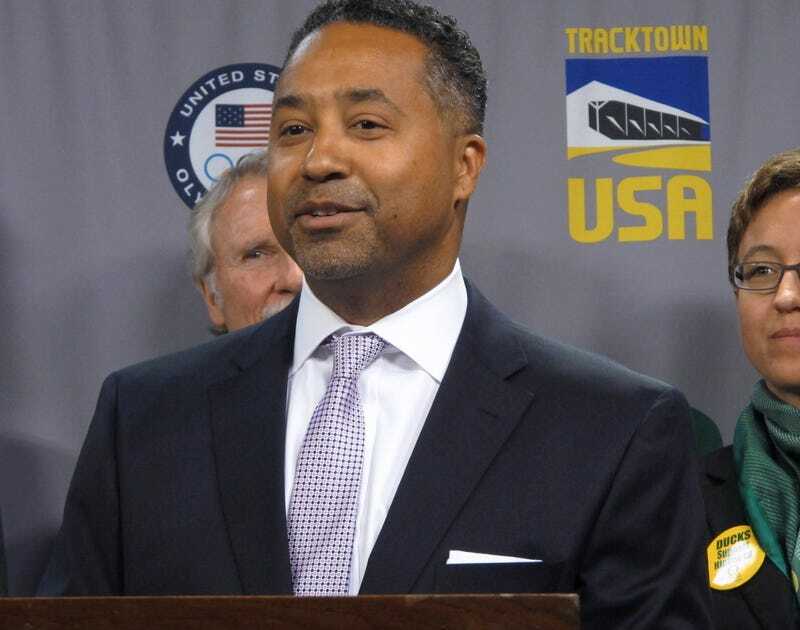 Adam Nelson, president of the Track and Field Athletes Association, said the TFAA had no input on the deal, adding it "highlights the importance of a professional athletes association." After the 2014 USA Indoor Championships in Albuquerque, USATF was accused of not listening to its athletes. That's obviously not the case; USATF has been listening to the heartbeats of the next generation. It sounds like the faint ringing of a cash register.